Oppo Australia have released a new, limited football-themed version of the Opposmartphone, available through JB Hi-Fi. “As an official partner of FC Barcelona, we’re excited to be able to give soccer fans a device that matches their passion for the game and for the sporting club,” said Michael Tran, Executive Director at OPPO Australia. The 5.5-inch smartphone (which runs on a version of Android 7.1 mixed with a Barcelona FC-themed take on Oppo’s ColorOS) boasts a HD display, Snapdragon 660 processor, 20-megapixel dual lens camera and 4GB of RAM. 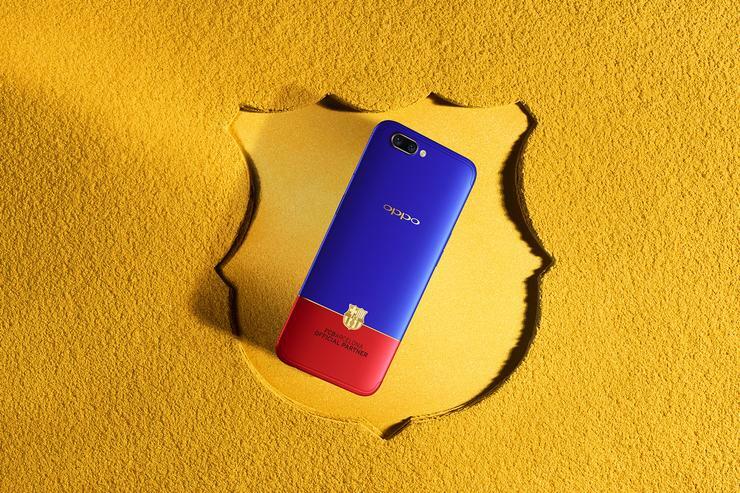 Sporting the iconic red, blue and gold colours of the club, the R11’s biggest design feature is the 18K gold-plated FC Barcelona badge on the back of the device. In terms of on-board storage, the R11 comes preloaded with 64GB of on-board storage. However, this can be expanded using a MicroSD card. “OPPO is committed to bringing the best products and experiences to Australian customers, and with over 200 tests undergone to ensure the logo, design and colour contrasts are perfect, sports fans can rest assured knowing they’ll receive the best possible product", Tran said. The Limited Edition FC Barcelona R11 is now available online only for $699 through JB Hi-Fi.